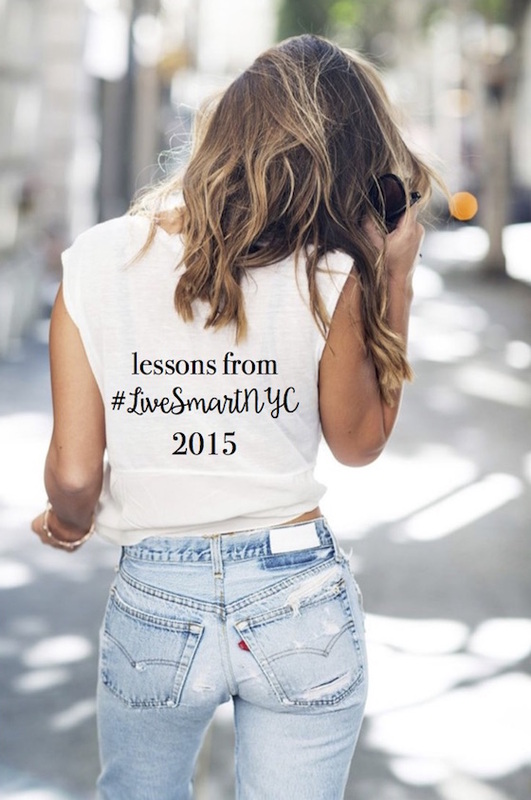 By now you're probably beyond sick of hearing me talk, tweet, and blog about the #LiveSmartNYC conference, buuuut I'm not quite done. Today I'm sharing the lessons I learned from a few of the amazing speakers we heard from over the course of the conference weekend. 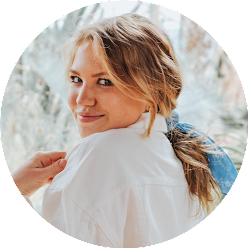 From CEO's to dietitians to bloggers and everyone in between, it's safe to say that some of the coolest people I've ever met were at that conference, and they shared amazing stories with us. I brought my laptop to the conference (best decision ever, even if I didn't like carrying it around at the time...) and somehow wound up with over 20 pages of notes. So, bear with me, this could get lengthy. The first day of the conference opened up with a meditation by Maggie DiPasquale. This really set the tone for the rest of the conference... you can accomplish anything if you set yourself up in the right direction. Realize your potential... Ask yourself, "what am I good at?". Define your passion; "what do I love to do?". And finally, once you've realize what you're good at and you've become aware of what you love, figure out how you can combine those, define your purpose by answering "what does the world need me to do?" and then go out and do that. Make a list. Set goals. Realize your skills, your potential, your passions that lie at the core of who you are, and achieve your purpose. Having the right attitude about achieving your goals is key to reaching them. Elaine Pouliot illustrated this perfectly by saying, "I could’ve gotten up and said I’m only a receptionist. Instead I told my friends I’m in the communications department at IBM and I dressed like I was the president". Basically, everyone has to start somewhere. Don't compare your beginning to someone else's middle, and don't think that everyone takes the same highway on their road trip. Everyone wants to be their best self, but not everyone's best self is the same, and not everyone is going to put in the work to achieve their best self. Have a positive attitude; take risks; dress for what you want, not what you have, both literally and figuratively. And when it comes to acting out your best self, present yourself with a good attitude and act how you want people to remember you. You never know what person has a connection with someone else that could open a door for you. Statistics show that women want to keep everything to themselves; they don’t want to share. But, it's important to treat other how you want to be treated. Don't hold in all of your knowledge; be helpful and ask for help in return. What you give away, you get back ten-fold, and you can always ask others to collaborate with you on similar ideas. Stephanie Ruhle was one of my favorite speakers last year at the conference and didn't fail to win me over again this year during her keynote. Something that I love about Stephanie Ruhle is that she's so real but also the seemingly ideal person, and a lot of what she talked about had to do with appreciating all of her opportunities she's been given. Think about it this way... everyday we wake up in America (sorry if you're an international reader! ), a country where every single day we can wake up and start over and make the most of our lives. We have the opportunity every single day to tackle our goals and achieve what we set out to achieve, and it's important to appreciate that and take advantage of that. Why waste the gift of freedom when others would kill to have it? And, appreciate the people around you too. Find the value you in every person you know and meet and aim to make more than a contact out of them. For example, it doesn't matter how many people's phone numbers you have if you can't send them a text or give them a call. Aim to make some sort of a relationship with every person you meet. Make the most out of people, make the most out of everything life presents to you. Everyday, find something, and say: What am I going to get to do with this? and work with what you've got to achieve that. If there's one thing everyone has in common, it's that we are all taking our own path to find happiness. No one (at least that I know) goes out of there way to be unhappy or to make themselves a life that they don't want. So, when it boils down to it, everything you do should be for you. Work hard, figure out what you want, and do everything for you. Make yourself the person you want to be. Be your best self for you. How you deal with challenges will make you successful. Find out what you love and find a creative way to make it a part of your life; be able to figure out who you are. For example, make a list of 5-10 that you love about yourself and if you didn’t have any issues (time, money, etc. ), what would you be doing? Find a way to do that. Be happy right now with what you’re doing; don’t say “oh in 20 years, I’ll be happy when this happens”; be happy and fulfilled with right now, and if you can’t do that, make your life so you can be. It’s okay to change your mind. What’s important is that you figure out what you want to do and make sure you get there. You can choose who you spend your time with, and spend your time wisely. Break up with any expectations that others have of you… you are the creator of your world. Overall, the Smart Girls Group conference this year was an incredible learning opportunity filled with amazing girls who all really wanted to be there to hear from even more fabulous speakers! I'm so grateful I had the opportunity to attend and I hope you all learned a little something from this post! I love all of these lessons!